Self-contained groover has built-in temperature controls eliminating the additional cord and separate control box common with other groovers. Don’t let the small package fool you; this groover has the ability to cut small intricate grooves yet still handle removing material up to a 1/2″. Tapered, razor sharp blade grooves fast and easy. To operate, insert a single blade into groover, set blade height with a tire depth gauge and set the power level. Place the cutting edge against the tire surface and obtain instant heat by simply pulling back on the trigger. Groover features a Hi/Low toggle switch and a temperature control dial in the handle for setting desired heat level. “All-In-One” groover requires “All-In-One” blades; do not use standard groover blades with this groover. 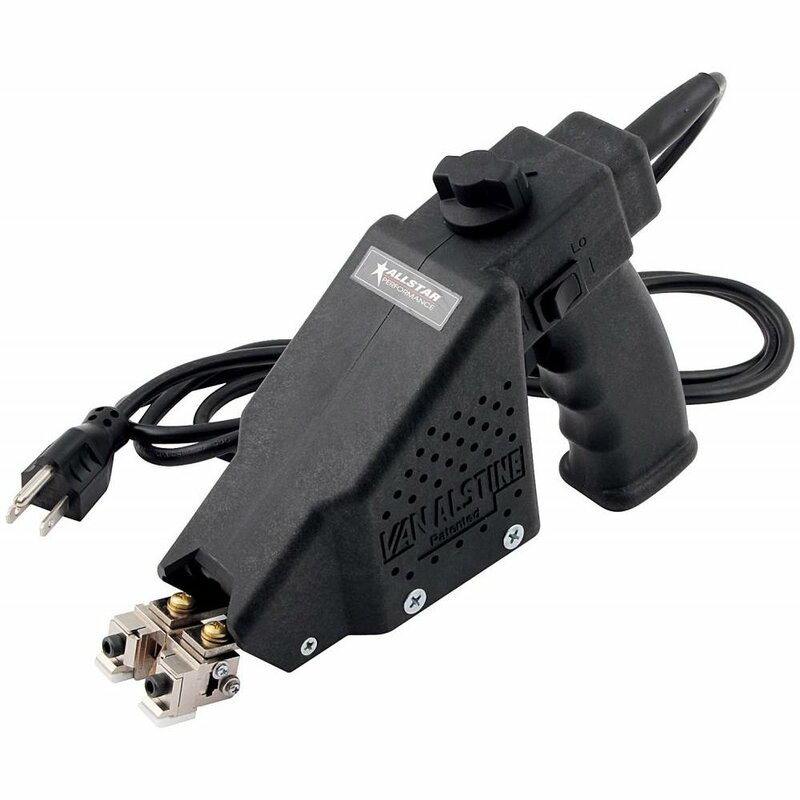 ALL10771, 220 groover is intended for international use, power cord requires the attachment of a 220 volt, grounded, 3-prong plug (not included).